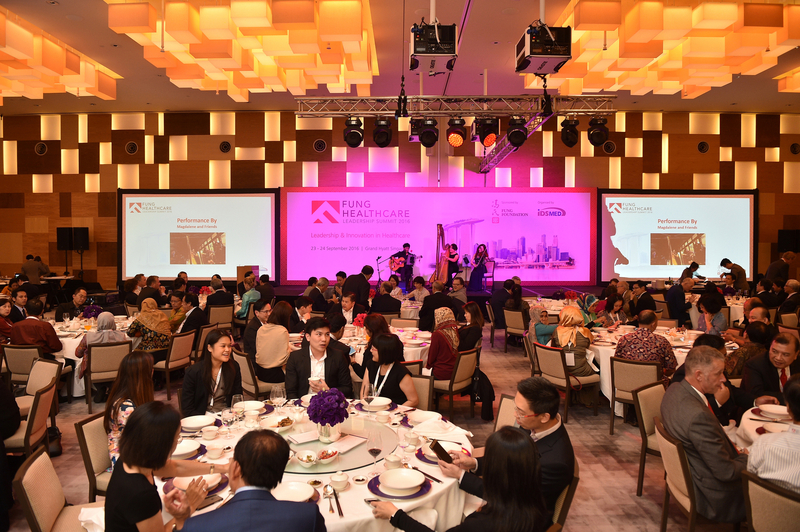 The Asian Healthcare Leadership Summit 2016 was held in Singapore on 23 – 24 September 2016. 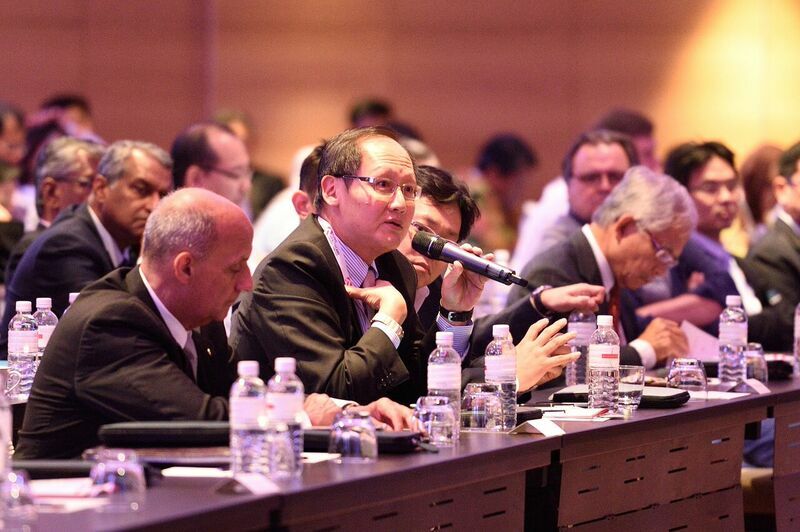 This Summit followed the highly successful inaugural event which was also held in Singapore in June 2015. 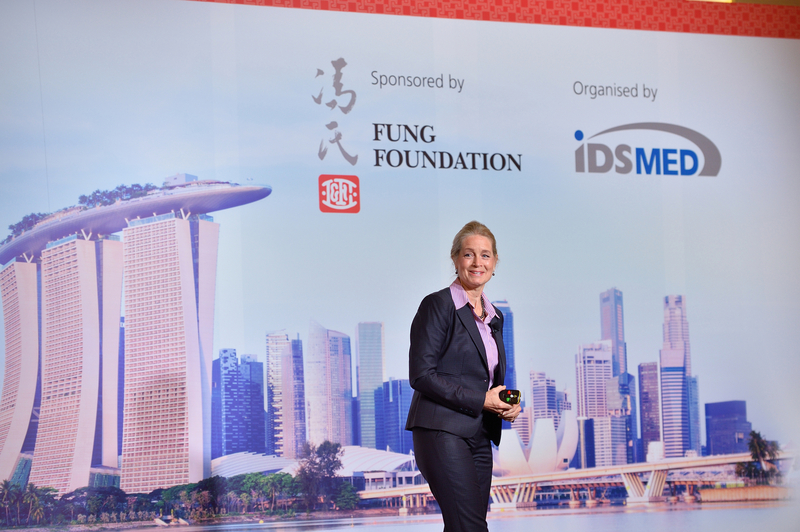 The Asian Healthcare Leadership Summit is sponsored by the Fung Foundation and organised by IDS Medical Systems Group (idsMED) both members of the Fung Group, a multinational corporation headquartered in Hong Kong with business operations in trading, logistics, distribution and retailing in over 40 economies. idsMED is the leading integrated medical solutions provider of equipment, supplies and services in Asia. 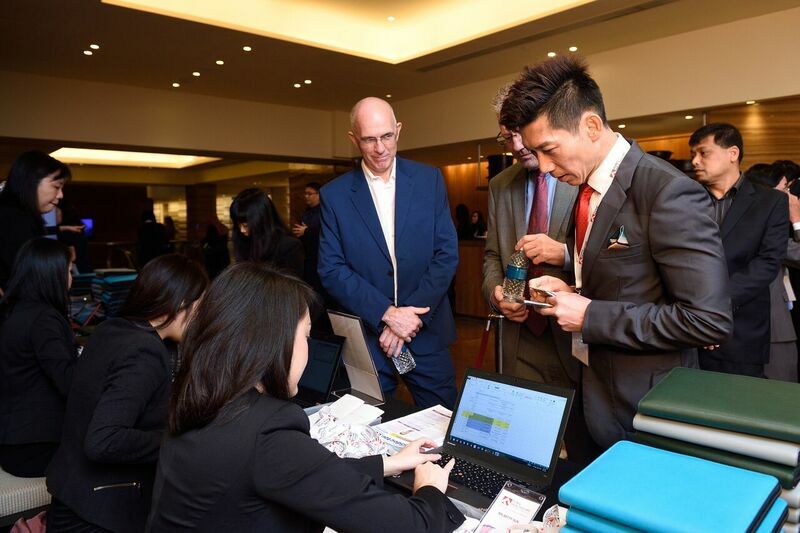 The event was attended by over 300 delegates including healthcare practitioners, senior management of healthcare and educational institutions, government officials and business leaders from the Asia-Pacific Region. 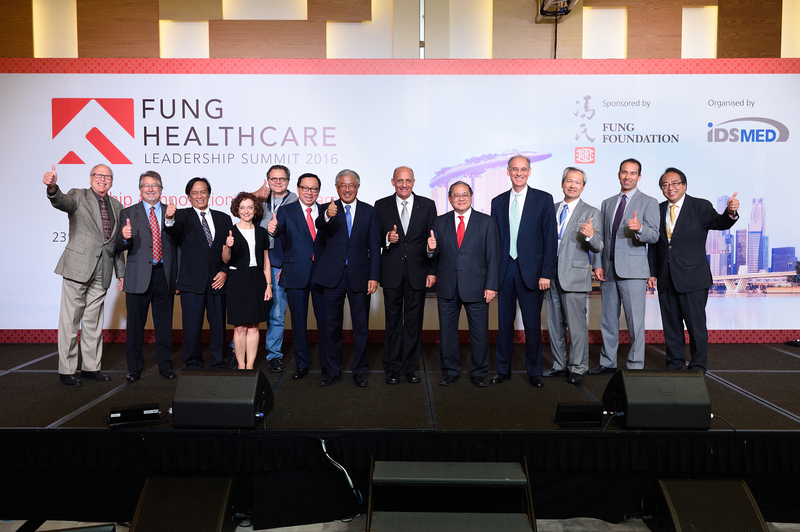 For more details on the Event and Programme, please refer to the official Summit website www.fhlsummit.com. 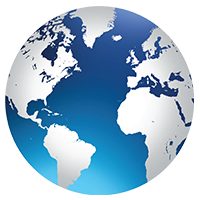 You may download the conference proceedings by clicking the Download button below the image gallery. Additionally, you could enjoy the Speech Videos available through the links below. Presentations for few of the speakers are not available for viewing or downloading. Executive Director, Fung Holdings (1937) Ltd. 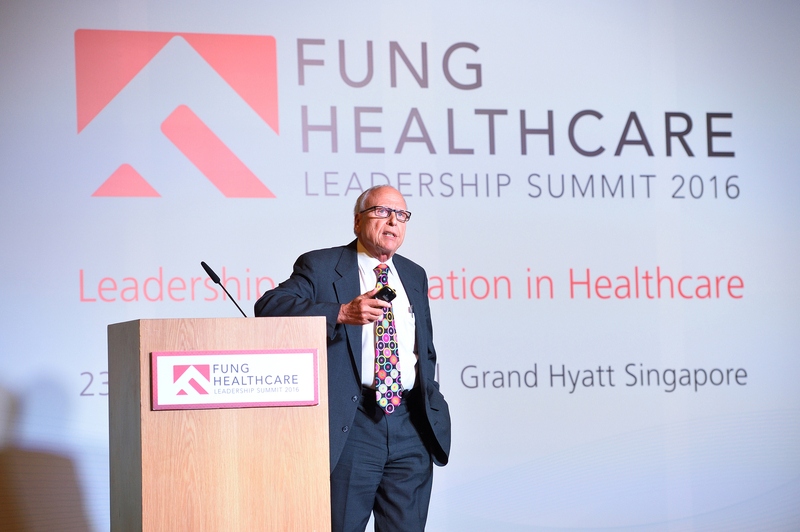 Opening Keynote: Is Leadership & Innovation Enough to Address Global Healthcare Challenges? Dr. Richard H. Carmona received his Medical Degree at the University of California, San Francisco in 1979. In 2002, Dr. Carmona was confirmed by the President and the United States Senate to become the 17th Surgeon General of the United States. Dr. Carmona was selected because of his extensive experience in public health, clinical sciences, health care management, preparedness, and his commitment to prevention as an effective means to improve public health and reduce health care costs while improving the quality and quantity of life. During his tenure, he issued many landmark Surgeon General communications, including the definitive Surgeon General’s Report about the dangers of second-hand smoke. In 2006, Dr. Carmona was named to the position of Vice Chairman for Canyon Ranch, a leader in the health and wellness field for over 35 years. Dr. Carmona is also a nationally recognized SWAT expert and a fully qualified peace officer with expertise in special operations and emergency preparedness. Dr. Victor J. Dzau is the President of the National Academy of Medicine (NAM), formerly the Institute of Medicine (IOM). In addition, he serves as Chair of the Health and Medicine Division Committee of the National Academies of Sciences, Engineering, and Medicine, and Vice Chair of the National Research Council. 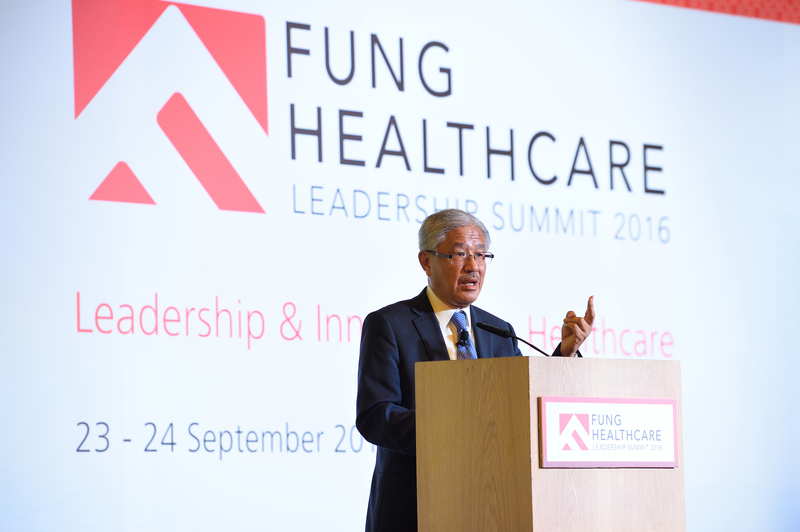 Dr. Dzau has made a significant impact on medicine through his seminal research in cardiovascular medicine and genetics, and his leadership in healthcare innovation. His important work on the renin angiotensin system (RAS) paved the way for the contemporary understanding of RAS in cardiovascular disease and the development of RAS inhibitors as widely used, lifesaving drugs. As one of the world’s preeminent health leaders, Dr. Dzau also advises governments, corporations, and universities worldwide. Mr. Alexander Tsiaras is the Founder, CEO and Editor-in-Chief of TheVisualMD.com. 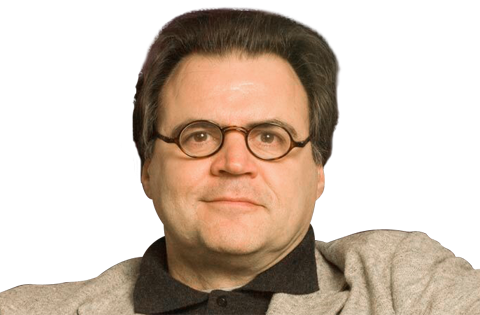 Mr. Tsiaras grew TheVisualMD.com out of his already well-established journalism enterprise. He is the recipient of numerous awards, including the World Press Award, Webby, and the prestigious Satava Award for his work in the improvement of medicine through advanced technology. Working with Yale, he received funding from NASA to write algorithms for virtual surgery, so that astronauts could be operated on in robotics pods during deep space flights. Mr. Tsiaras has lectured and keynoted many conferences including the National Library of Medicine (NLM/NIH) Scientific Visualization Conference, the Google Health Conference and TED. He has also lectured with Stephen Hawking at the MIT Media Lab. He has recently built an advanced Personal Health Record, titled “MyWellnessStory” that will empower people to plan, optimize and measure their pathways to health and a lifetime of well-being. Dr. Mao Shing Ni is the Co-founder and Chancellor of Yo San University of Traditional Chinese Medicine in Los Angeles and the award-winning Tao of Wellness, a center for integrative East-West medicine with offices throughout Southern California. He was also instrumental in the establishment of free acupuncture services at community health facilities in the Los Angeles area, including the Children’s Hospital, Venice Family Clinic and Being Alive HIV Clinic. Dr. Mao has written 17 books including his bestselling Secrets of Longevity, Self-Healing Qi Gong, Tao of Nutrition and translation of the seminal classic Yellow Emperor’s Classic on Medicine. Dr. Kian Raiszadeh is a Founder and CEO of SpineZone, launched in 2005 with his brothers, also orthopaedic surgeons. The company’s innovative protocol for treating back and neck pain includes rigorous data analysis and objective tracking of strength, posture, and cognitive behavioral progression. Using proven technology and a multi-disciplinary team of caregivers in order to promote faster recoveries, SpineZone eliminates over-treatment, and decreases the total cost of care by relieving long-term back and neck injuries without resorting to invasive procedures, prescription drugs, or required injections. He has been on three humanitarian missions to Bolivia to lead a 15-member team to provide subspecialty orthopaedic care to 500+ patients with 100+ surgeries performed. 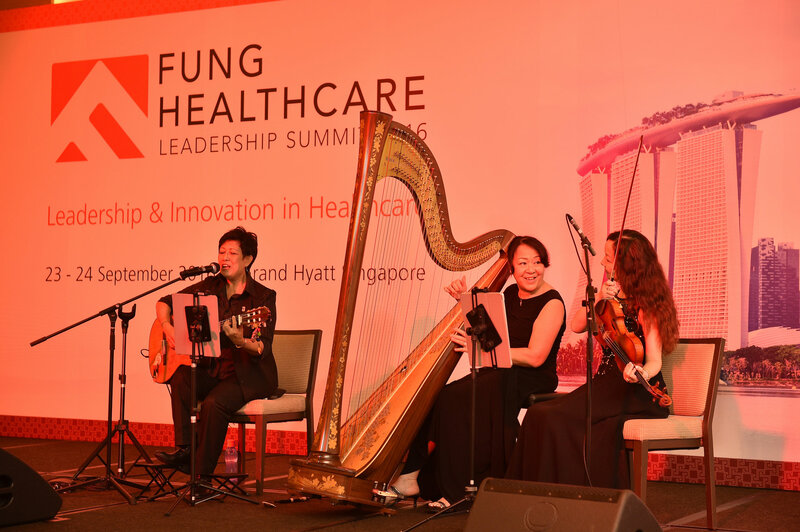 Dr. Tan See Leng provides strategic direction and leadership for overall operations within IHH Healthcare Berhad (IHH) and its largest operating subsidiary, Parkway Pantai Limited. Dr. Tan has over 25 years of experience in the healthcare industry. 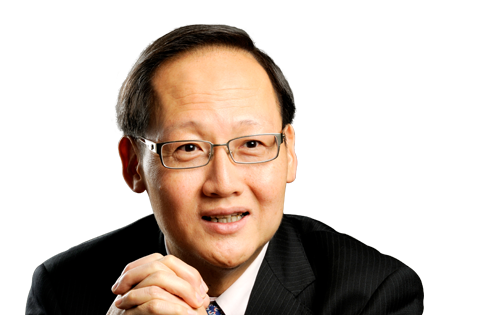 An active member of various medical committees, Dr. Tan served on the Singapore Ministry of Health’s MediShield Life Review Committee and several other Ministerial advisory appointments over the years. He maintains active involvement in academia through various board memberships and appointments. 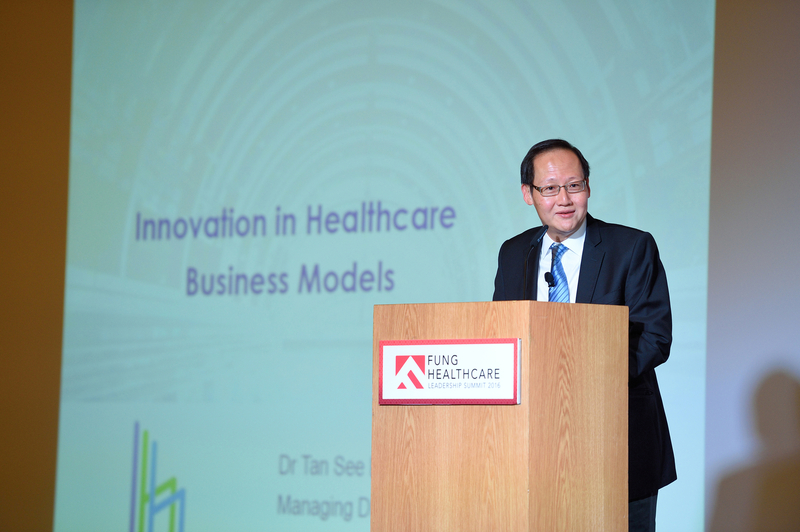 In recognition of his leadership in steering IHH to becoming a highly-valued global healthcare organisation, Dr. Tan was named CEO of the Year at the 2015 National Award for Management Accounting (NAfMA) and Asia Innovator of the Year at the 14th CNBC Asia Business Leaders Awards 2015. As President and CEO, Ms. Bresenham’s role includes regional leadership of GE Healthcare’s operations in India and South Asia, Africa and Southeast Asia, focusing on addressing customer needs across these regions and working with governments, clinicians, private operators and NGOs to support their complete healthcare system development; from start-up phase through to established healthcare infrastructure build out. In this role, she also leads GE Healthcare’s investments in affordable technologies, including the major R&D centers in China and India. GE Healthcare’s Sustainable Healthcare Solutions business aims to serve the 5.8 billion people in the world with little to no access to healthcare through the development of disruptive, low-cost technologies and healthcare delivery solutions relevant to multiple care settings and non-traditional users. Speech Title: Can We Have Healthcare Reform Without Supply Chain Reform? Prof. Schneller is Director of the Health Sector Supply Chain Research Consortium, a university/industry cooperative committed to advancing health sector supply chain practice. He is currently the faculty lead for the Mayo Clinic Physician Leadership Academy. His current work focuses on integration of health care supply functions, physician leadership in supply chain management, buyer/seller trust and performance relationships and maturity model adoption for continuous supply chain performance improvement. Prof. Schneller and his research associates have developed the concept “fully integrated supply chain organization” (FISCO) as a design vehicle for cost reduction and quality improvement in supply chain practice. He is a national and international leader in the area of purchasing models and group purchasing strategy. Dr. Steven Higgins is the Chairman of the Department of Cardiology and the Director of Cardiac Electrophysiology at Scripps Memorial Hospital in La Jolla. He is also the President and Founder of the Cardiac Arrhythmia Associates in La Jolla, California. Dr. Higgins has been recognized as a pioneer in the field of electrophysiology, including founding work on the implantable defibrillator and cardiac resynchronization therapy for the treatment of heart failure. Dr. Higgins has performed over 3000 device implantations. The author of over 150 peer-reviewed publications and books, Dr. Higgins has lectured throughout the world on state-of-the-art cardiac rhythm techniques and advances. In 2012, his two publications as first author were cited as “top 10 articles published in 2012” on their topics by BioMedLib. Dr. Higgins’ current research interests focus on new technologies for less invasive and safer therapies for patients with cardiac arrhythmias, including robotic catheter ablation and miniaturized leadless pacemakers. Lisa Powell, MS, RDN, has been the Director of Nutrition for Canyon Ranch Resort in Tucson, Arizona, for over two decades. She leads a team of Registered Dietitian/Nutritionists and is responsible for development and implementation of cutting-edge integrative nutrition services. 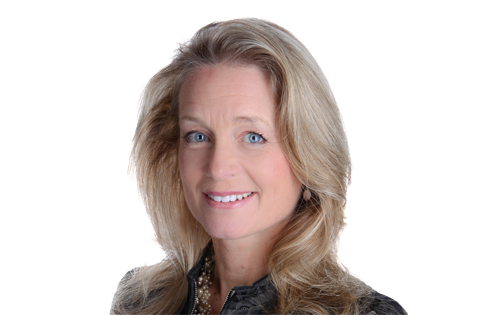 Ms. Powell has also served as Nutrition Director for Canyon Ranch Resort in Lenox, Massachusetts and was a member of the opening faculty for the Canyon Ranch SpaClub, Las Vegas, Nevada and Canyon Ranch at Kaplankaya, Turkey. She is a member of the Canyon Ranch Speakers Bureau and has presented for lay and professional audiences both nationally and internationally. Ms. Powell serves as a nutrition spokesperson, representing Canyon Ranch in print, radio, television and web-based media. Dr. Willie Smits is an environmentalist with focus on the long-term security and sustainability of the world’s environment. In 2001, Dr. Smits founded the Masarang Foundation to support research on ways to preserve and protect nature through the empowerment of local people. The focus has been on the optimal utilization of the sugar palms as an environmentally-friendly alternative to the rapid expansion of oil palm plantations, which dramatically reduce biodiversity and adversely impact local communities. Since 2012, Dr. Smits has been the director of an almost half-million acre reforestation concession in East Kalimantan, where he has expanded his research in developing systems for mixed reforestation, the application of biochar to improve soil fertility, the optimization of water and nutrient use and local job creation, while creating new conservation areas for wildlife.